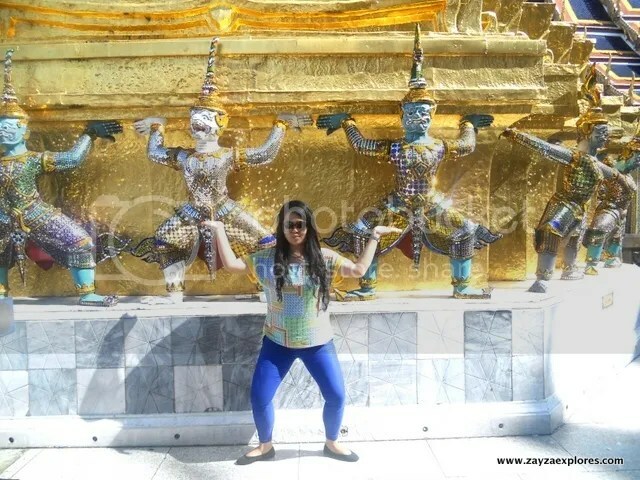 Day 2 is dedicated to Grand Palace and mall hopping. 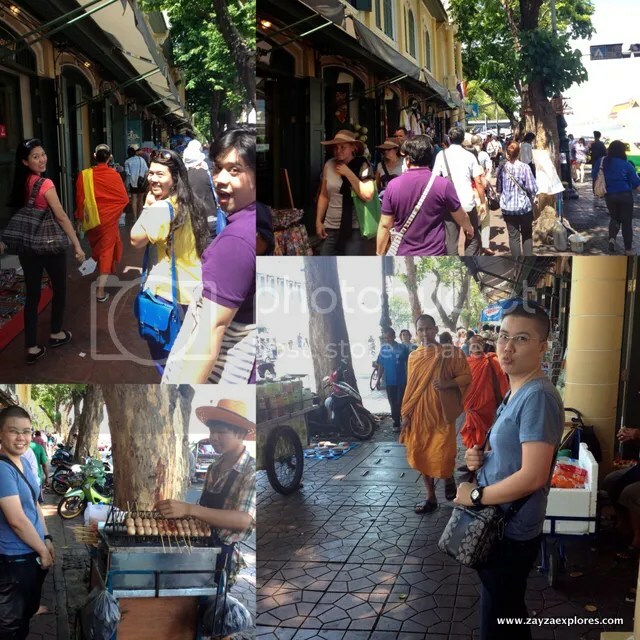 Jha will be with us today, she filed a leave from work to be our tour guide for a day. 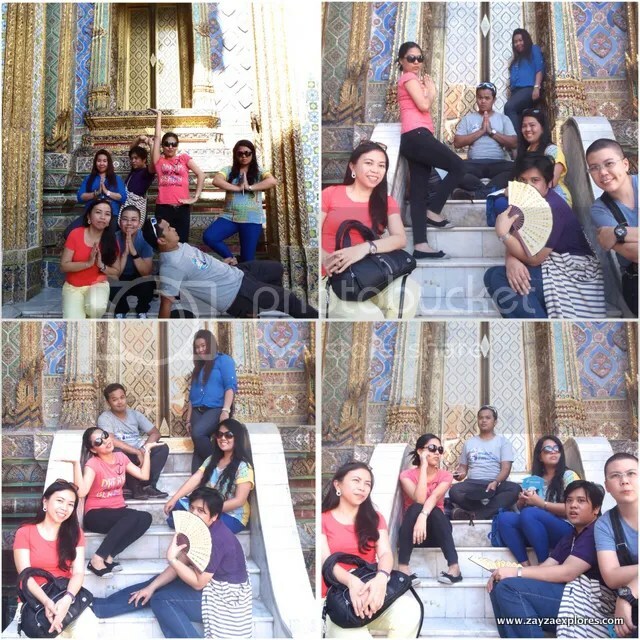 Though still sleepy we all woke up early as we’re all excited to visit Grand Palace. But the excitement was slightly dampened when the taxi we hired tricked us. 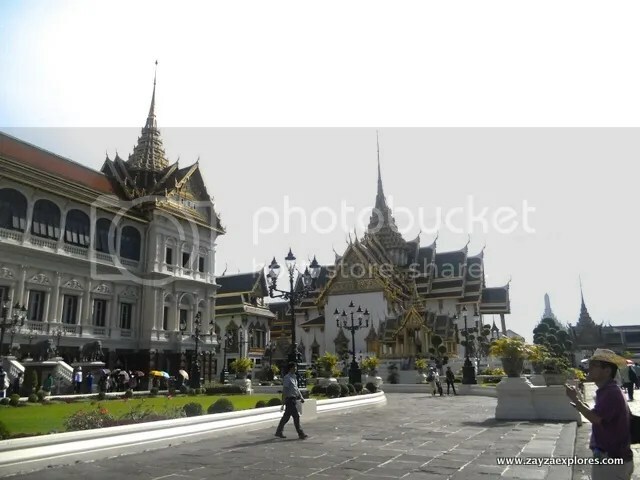 Instead of bringing us to the BTS Skytrain station we were brought somewhere in Silom along the Chao Phraya River when they found out we plan to go to the Grand Palace. We were brought in a different place, had to pay a toll gate aside from our taxi fare. It seems they get commissions for every tourist who’ll be availing their services. 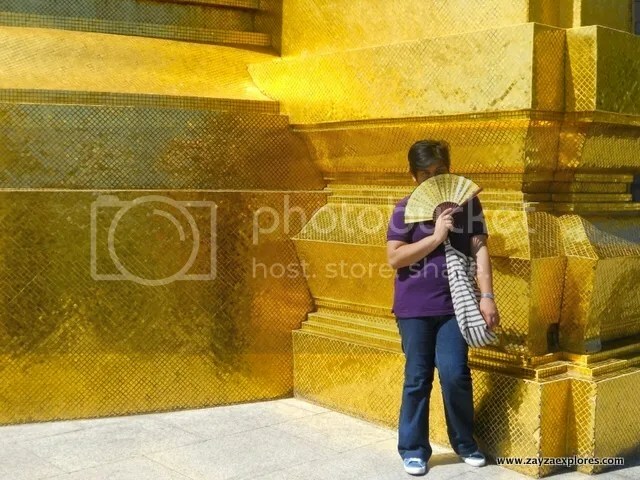 I’m not sure if they’re sort of a travel agency but we don’t want a package tour as we only plan to visit the Grand Palace. The taxi drivers didn’t bother to ask if we want to be brought there and decided for themselves. The tour they’re offering is expensive and beyond our budget. So we left and decided to walk our way out. 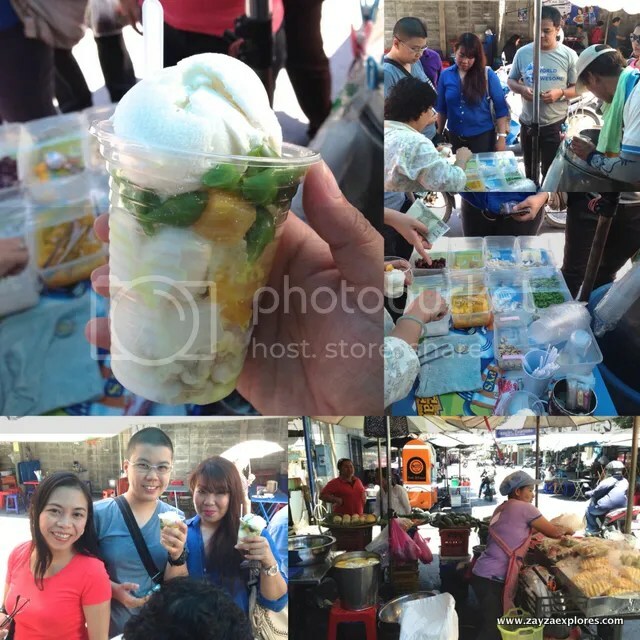 We passed by a stall who sells something like Thai’s version of Pinoy halo-halo, we tried one at first and we liked it. Only for the price of 20 THB. We asked around on how to get to the nearest BTS Station. It’s not easy to follow instructions as it’s hard to understand each word. We really have to listen well. 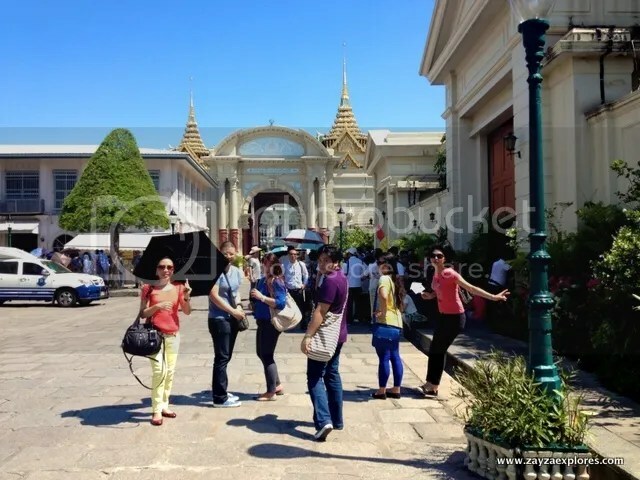 As we walked we saw Lebua State Tower where they filmed the Hangover Movie 2. Finally we reached the BTS Taksin Station but found out it’s best to take the Chao Phraya Tourist boat from Sathorn Pier. 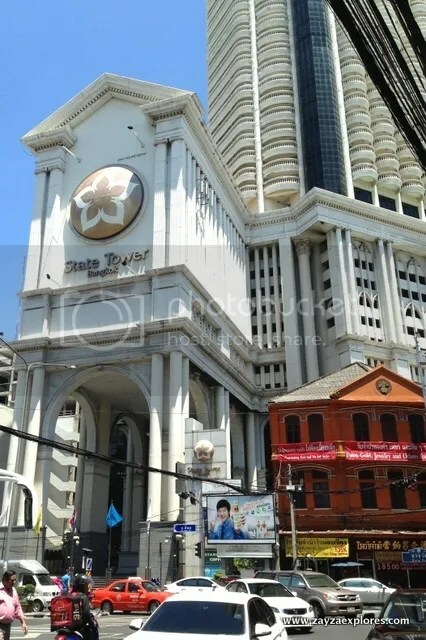 BTS Saphan Taksin is the last station before crossing the Chao Phraya River and connects to the Chao Phraya Express boat at the Sathorn Pier. While cruising there’s a guide sharing bits of history and stories of landmarks we passed by. 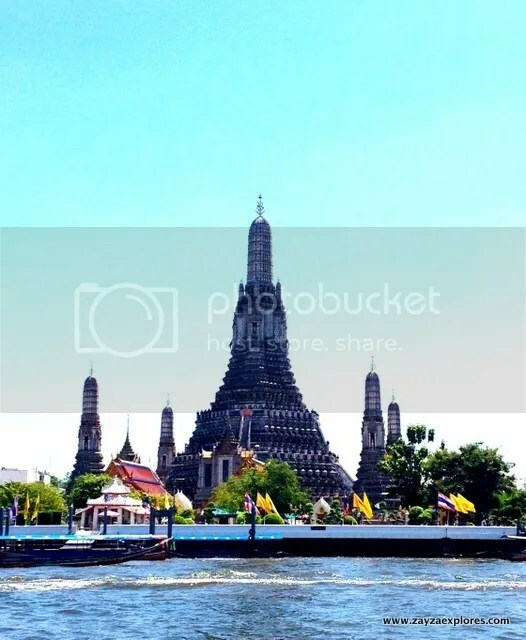 Here’s Wat Arun (Temple of the Dawn). 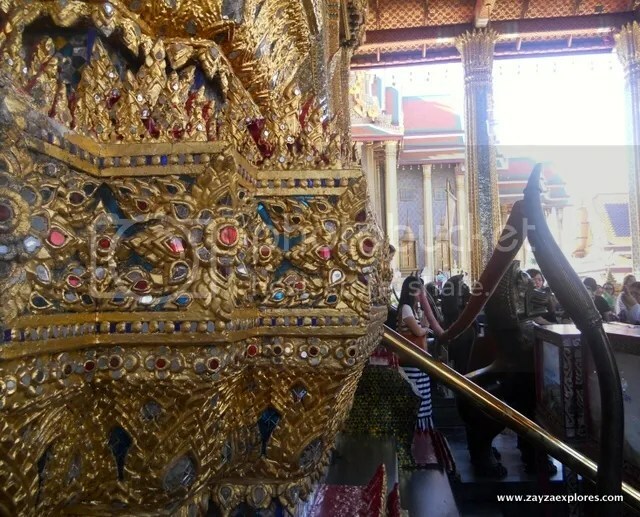 It can be access through Tha Tien Station via the Chao Phraya River boat. 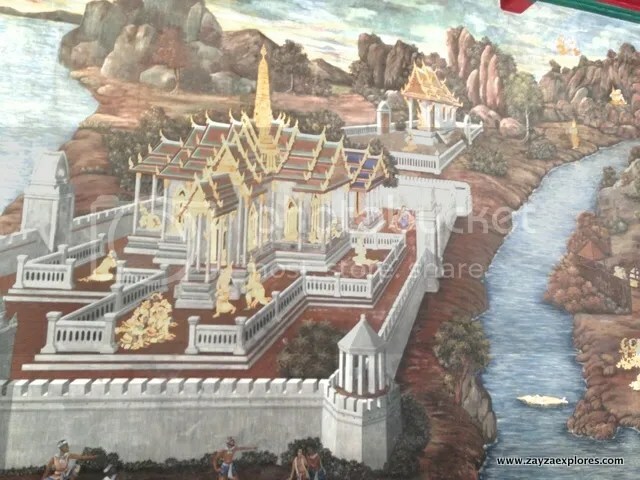 You can ride a river crossing ferry to Wat Po (Temple of the Reclining Buddha) for 3 THB and vice versa. Thinking back, what happened earlier is a blessing in disguise as we’re able to pass by other “wats” we’re not able to visit. Yes there’s a lot of “wats” in Bangkok. 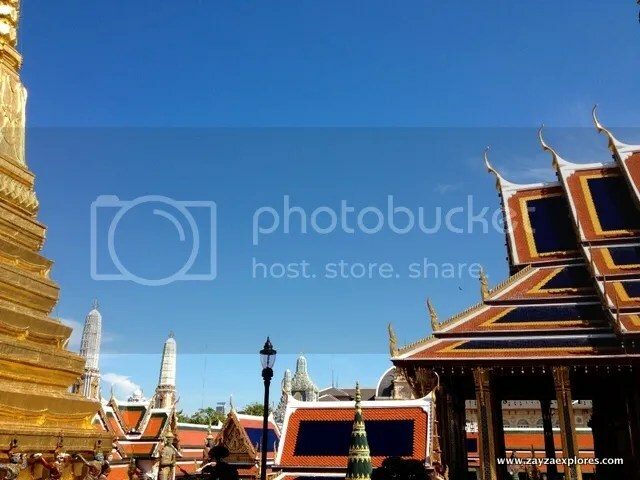 View of the Grand Palace while still on boat. At the Maharaj Pier. 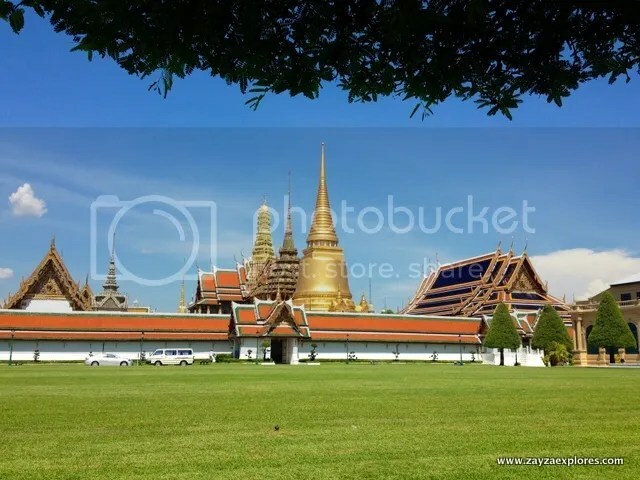 Just 5 to 10 minutes walk and you’ll be in the grounds of Grand Palace in no time. It’s always interesting to walk in a foreign country, getting different looks from locals, trying their food, getting the feel and the vibe of the place as you observe people and culture. 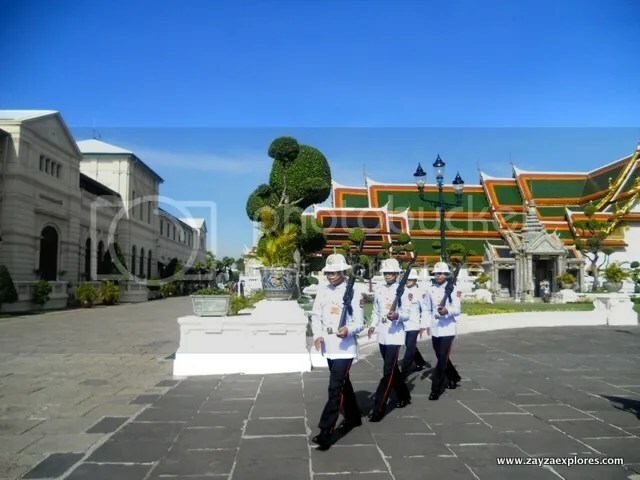 And we’re ready to enter The Grand Palace for 500 THB. 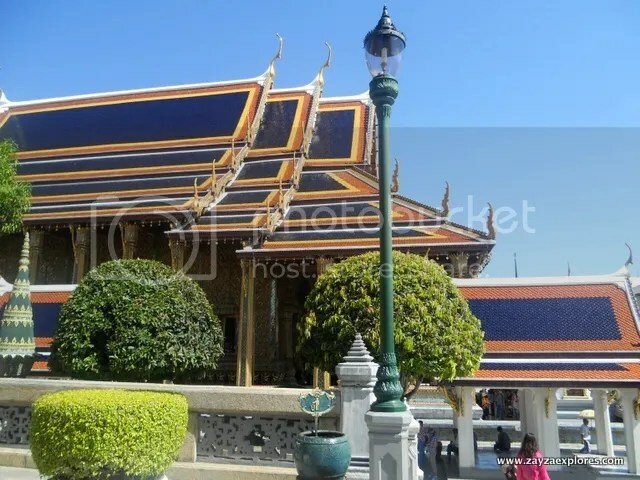 The Grand Palace complex was established in 1782 and consists of not only the royal residence and throne halls but also government offices as well as the famous Temple of the Emerald Buddha (Wat Phra Kaew). 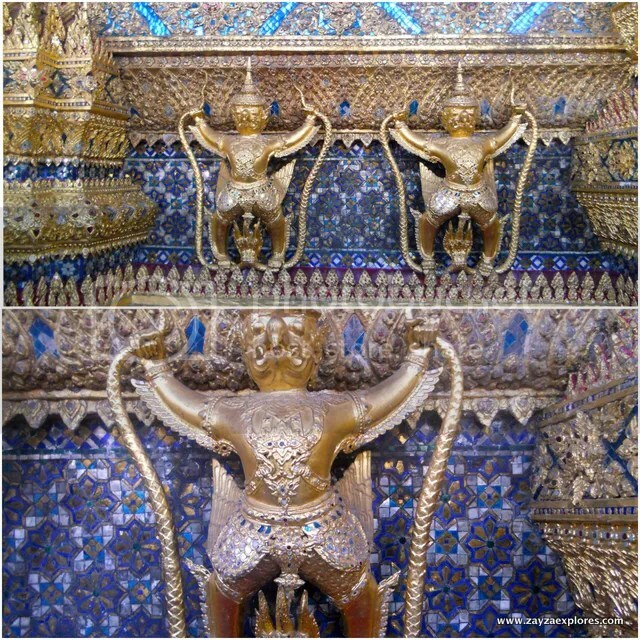 The Emerald Buddha is enshrined on a golden traditional Thai style throne and changes to three seasonal costumes (summer, rainy season and winter). 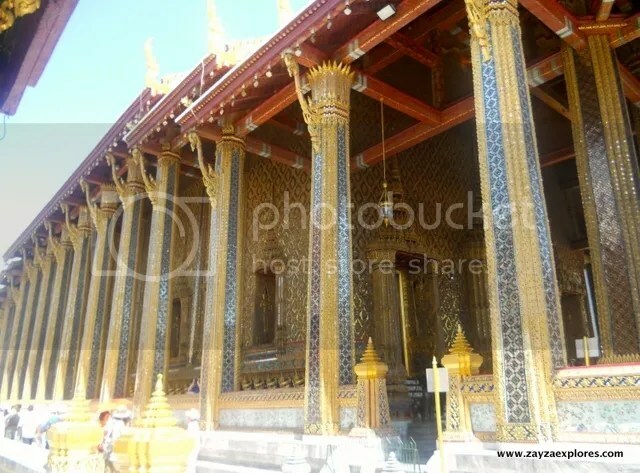 Only His Majesty, The King can come close and change the Emerald Buddha’s clothes. 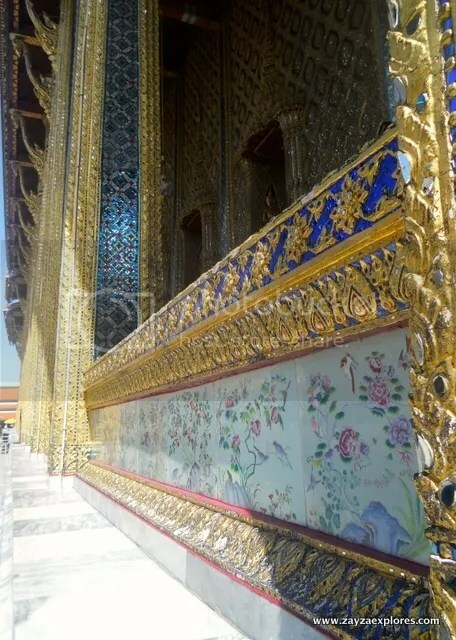 The Royal Monastery of the Emerald Buddha will welcome you upon entering the Grand Palace. Already packed with tourist. 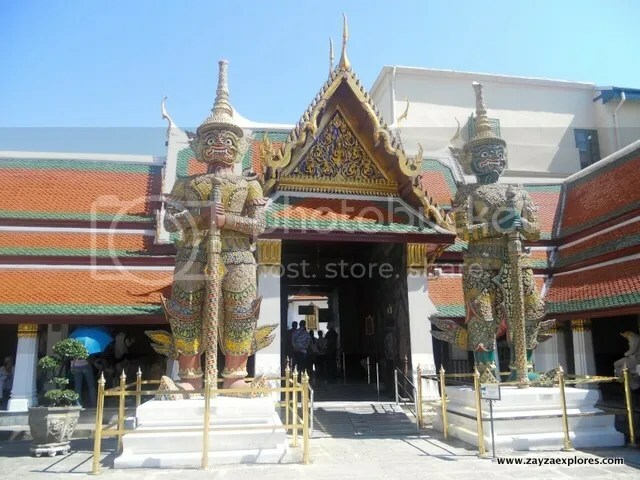 It is said that this is the number one must-see-sight when in Bangkok. No visit is complete without it. 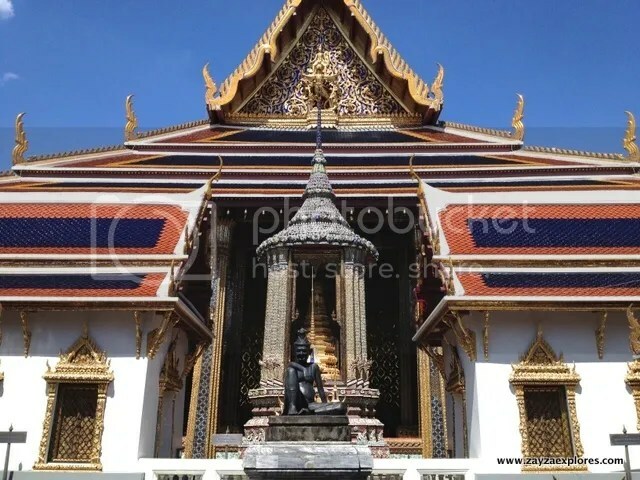 The Upper Terrace: Phra Siratana Chedi, Phra Mondop, Royal Pantheon (partly hidden from the picture) and miniature Angkor Wat (not in picture). Details on details, intricate details actually. Boasting impressive architecture and craftsmanship all over the place. In awe everywhere I look. 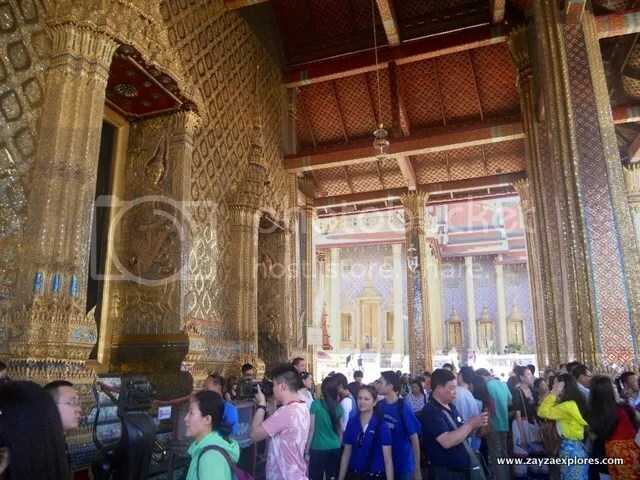 Pictures are not allowed once inside Wat Phra Kaew. 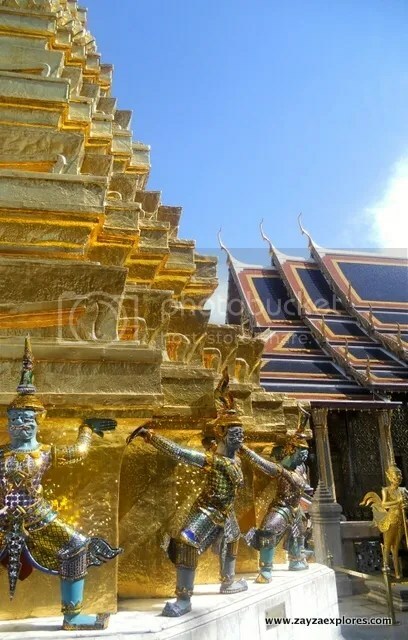 Temple guardians also called Yaksa Tavarnval (gate-keeping giants). 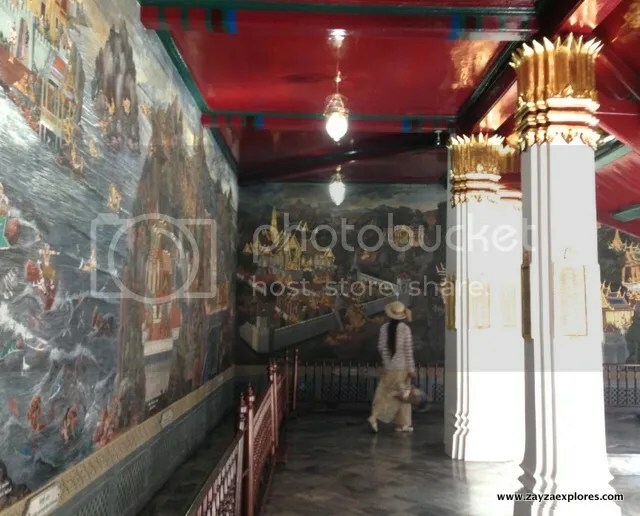 Decorating the exterior wall is the mural of the Ramayana. 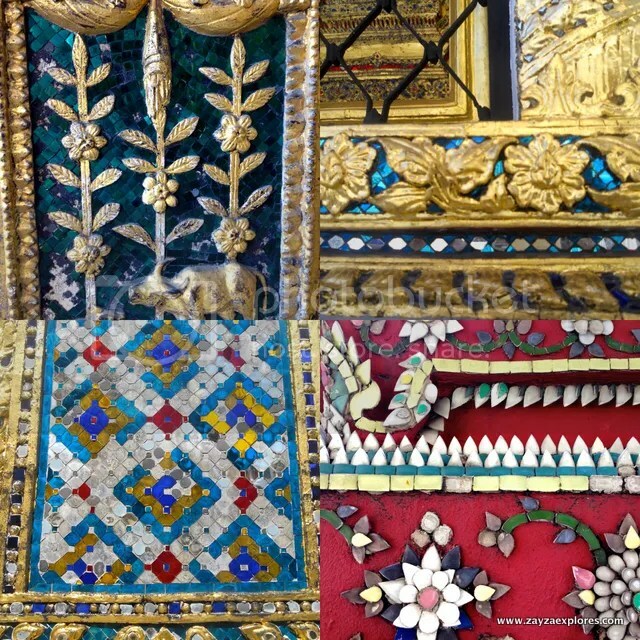 Phra Mondop is an exquisitely decorated library containing sacred Buddhist scriptures. 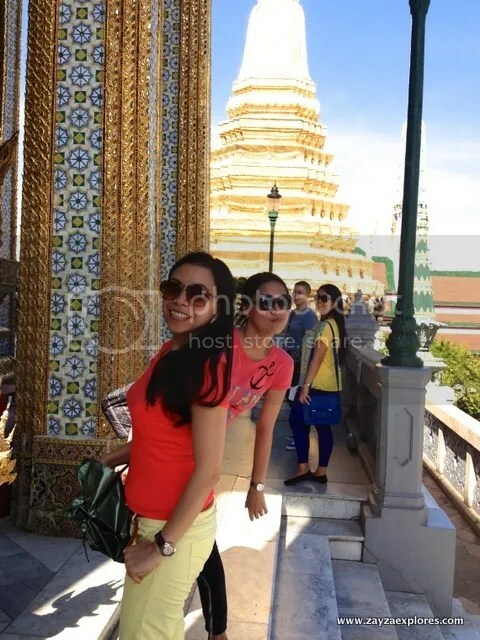 Behind me and Rj (below) is the Phra Siratana Chedi shining bright. 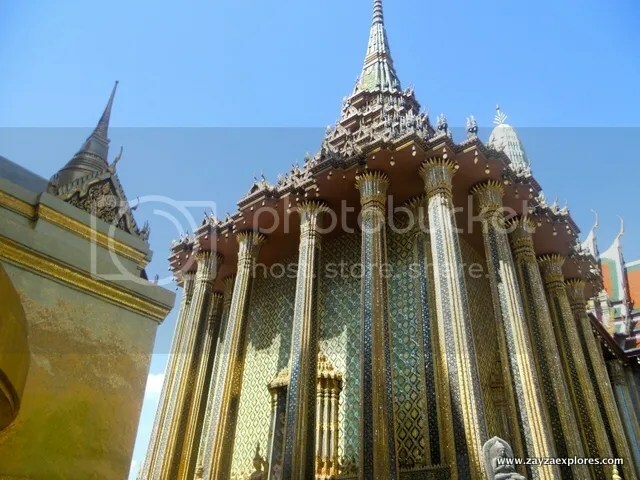 One of the two golden chedis fronting the Royal Pantheon. 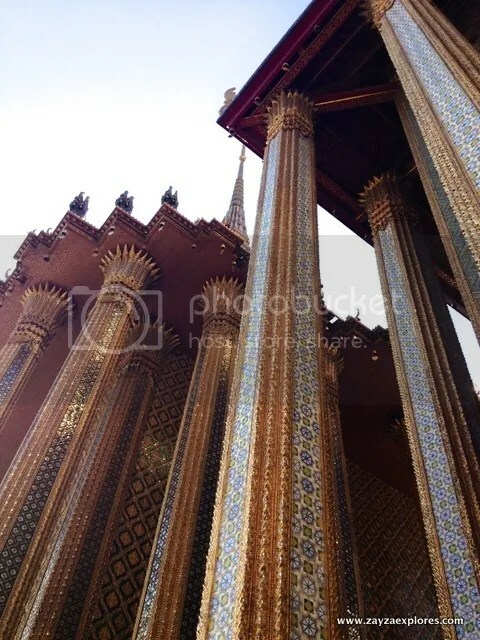 Phra Thinang Chakri Maha Prasat is a blend of Thai traditional architecture and a combination of 19th-century European styles. 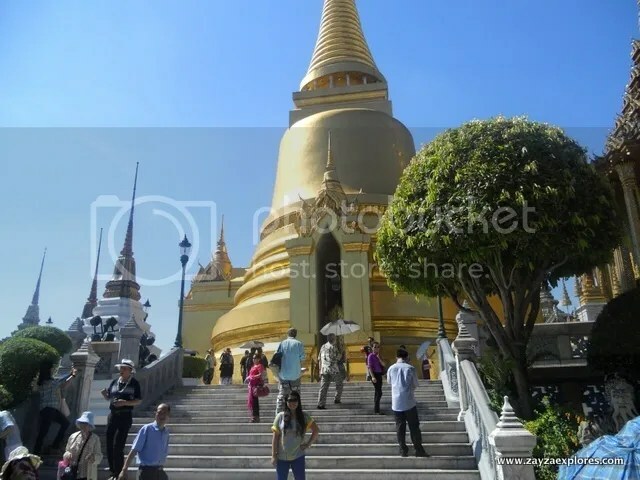 It is situated on the northernmost part of the Phra Thinang Chakri group. 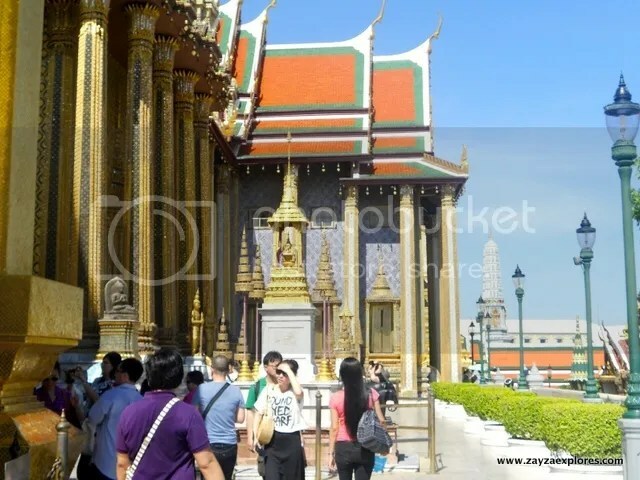 It will take about half of your day to tour the Grand Palace complex. I’m not sure we’re able to see everything as some areas were closed. I couldn’t agree more that one must not missed visiting here when in Bangkok. 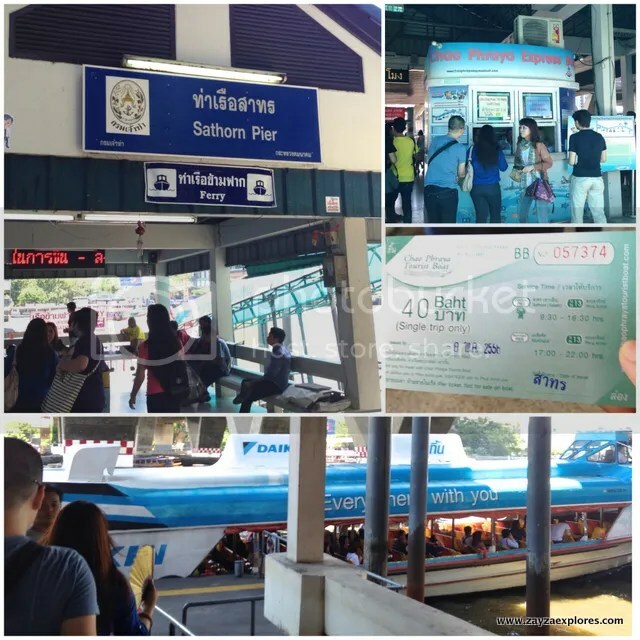 Take a skytrain to the Saphan Taksin station (ride the Silom Line) then cross the street to the boat terminal. 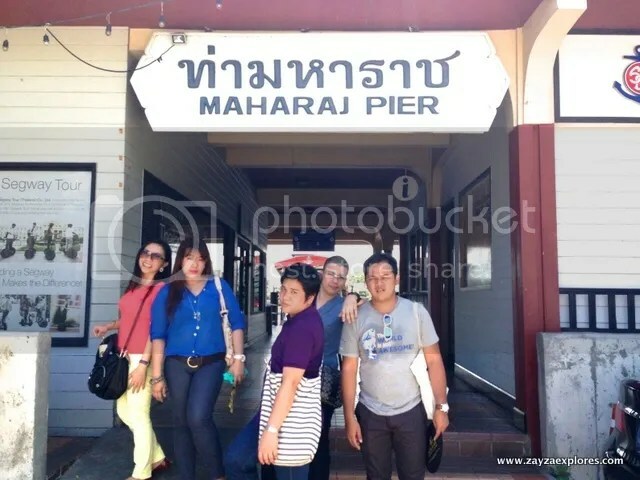 And just like we did purchase a ticket from the Chao Phraya Express Boat, Sathorn Pier – starting point. Disembark at the Maharaj Pier. 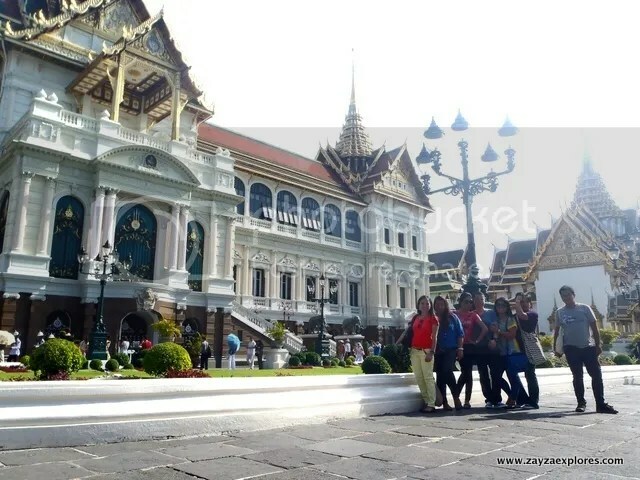 Grand Palace is just few minutes walk. 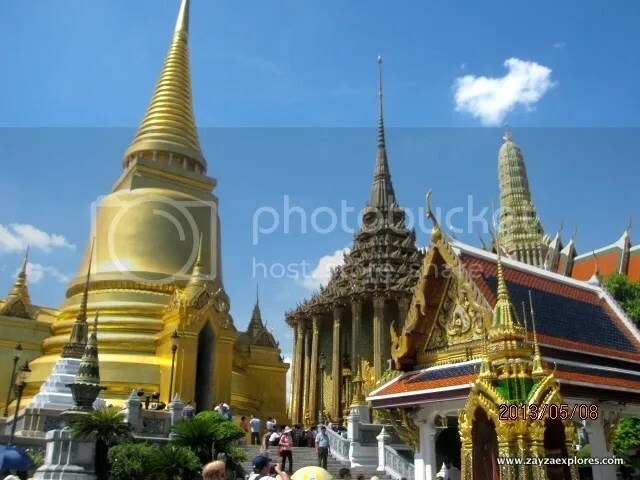 Or simply ride a taxi from where you are and ask the driver to bring you to the Grand Palace. Make sure that he’s using the taxi meter though. Traffic here can also be worse. 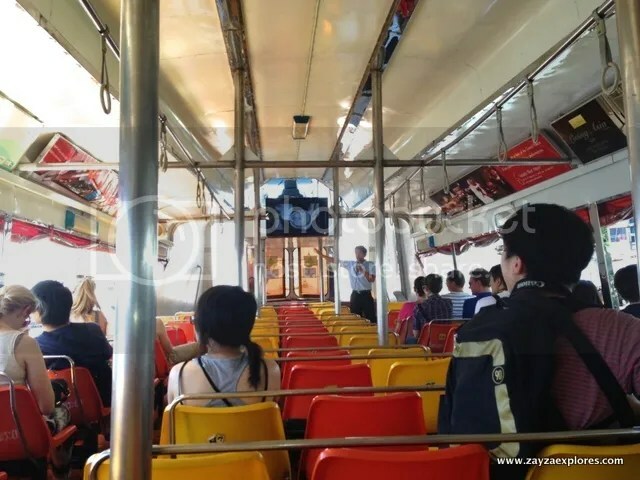 Riding the Chao Praya Express Boat gives you access to many of the landmarks and attractions in Bangkok. 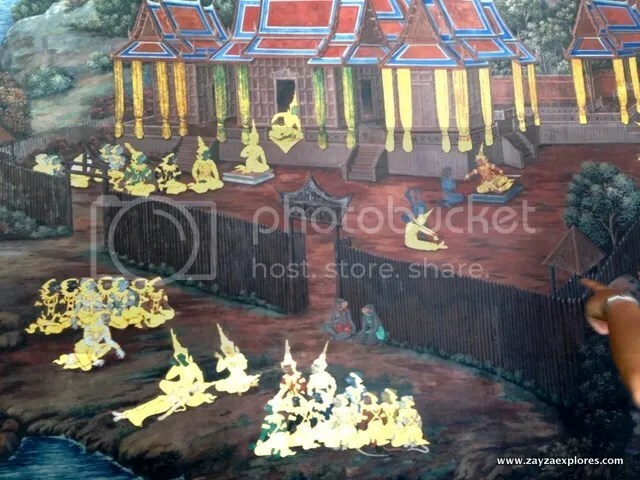 Buying an all day pass for 150 THB you can get you on and off here, it’s unlimited ride from 9:00 AM to 4:00 PM. 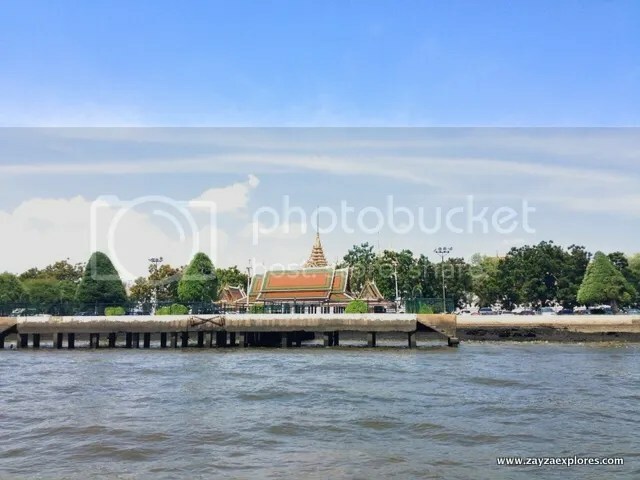 It leaves every 30 minutes and connects to total 8 piers along Chao Phraya River.